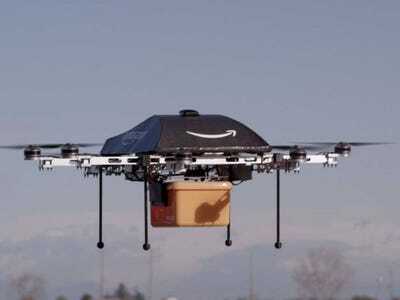 Amazon is going to test drones in Cambridge as it prepares to launch its aerial delivery service. The pilotless flying devices are used for the company’s Amazon Prime Air service, announced last year, which aims to get packages to customers within half an hour of orders being processed, TechCrunch says. Some suggest Amazon’s plan is a marketing gimmick, but the company is advertising jobs at a local startup called Evi Technologies which it bought two years ago. TechCrunch says the US online retailer is looking for engineers and experts to help test the drones, and may even be looking into using the skills of British defence contractors who have experience with top-end technology. Cambridge is fast becoming of the UK’s technology centres, with many eager to tap into its university’s rich pool of talent. On Tuesday, Business Insider reported that another US tech giant, Apple, is opening a new office in the city. Amazon’s drones might be in the skies in 2015, at least in the US — as owner Jeff Bezos continues his charge on superfast delivery. Amazon’s wider UK expansion is also moving ahead, with intentions to open new offices near London’s Silicon Roundabout coming alongside its already established massive new warehouses, built to enhance its current delivery service.